Saturdays are always work days for us since Bob is home and we can do projects together. 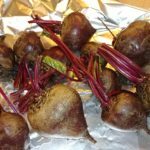 This past Saturday I had a huge bunch of freshly dug red beets to process, too, and Christmas pot holders to finish for our market and events at Thames Farm later this month and Old McCaskills’ Farm in early December. Farmer Bob planned to finish some projects outside and take a nice long nap on the couch while the Breeders Cup horse races were on TV. The best-laid plans……. Last week I had a text message inquiring about our tours, and I missed the part where she said she was thinking of bringing her family on Saturday, and she missed the part where I said our guided tours are on Sunday! It all worked out PERFECTLY, though, because when the two cars pulled in around 2:00, both Farmer Bob and I were at a good stopping point, and we had the most enjoyable time with this friendly family of six….the eldest was 93 years old, and the youngest about 10 years old! I love watching our visitors the first time they are with our laying hens and three roosters. I guess it might be a bit overwhelming, but children learn a good lesson about being calm and moving slow, because if they do something abruptly, the whole flock scatters. It’s immediate feedback! 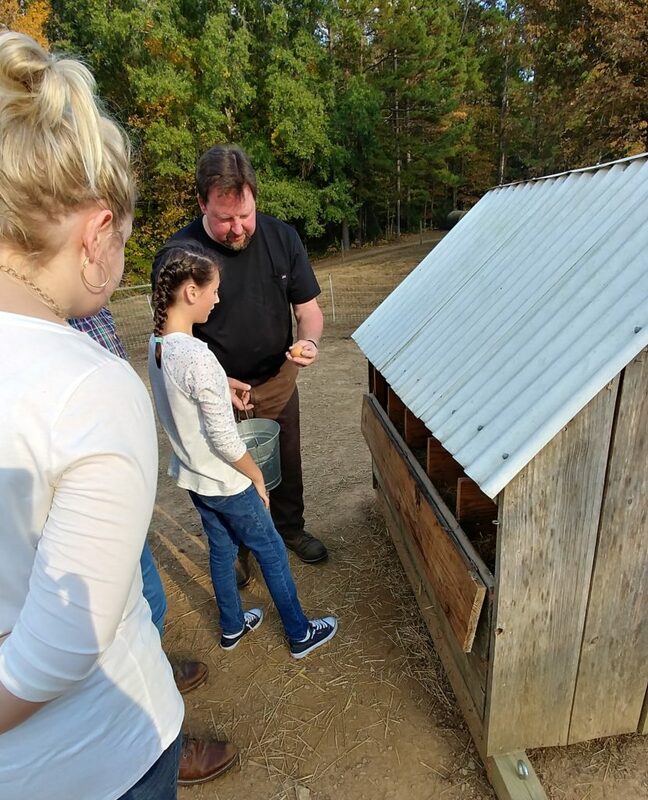 I think this little girl was a little uncertain about reaching into the nest boxes to pick up eggs, so Farmer Bob showed her how. If you read our blog, you might remember that we bought 40 3-day-old peeps back in April. They have really grown into beautiful hens and are starting to lay. Their eggs are small at first, but they will get larger soon. Here are a few of the new ones…and some old girls. You really have to look hard to see the difference now. Our visitors took home some honey and eggs and lots of memories. We were so glad they came because we made some new friends. 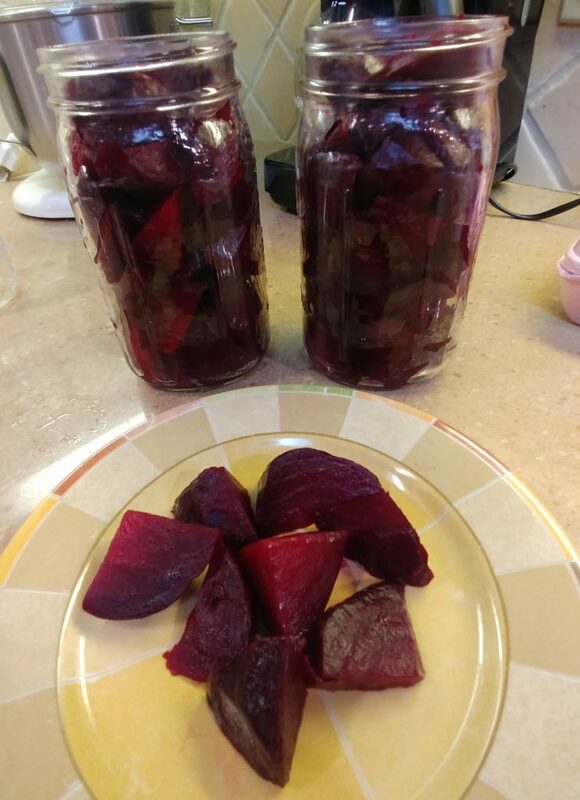 As soon as they left, I got busy with pickling the red beets! This is how I do it. Cut off the stems, but leave at least 2 inches of stem, or the beets will “bleed” and you want all the juice to stay in the beets. After cleaning and trimming, rub them with some cooking oil (no need to use expensive Extra Virgin Olive Oil for this) and spread them on a foil lined baking sheet. Clean under running water with a vegetable brush. 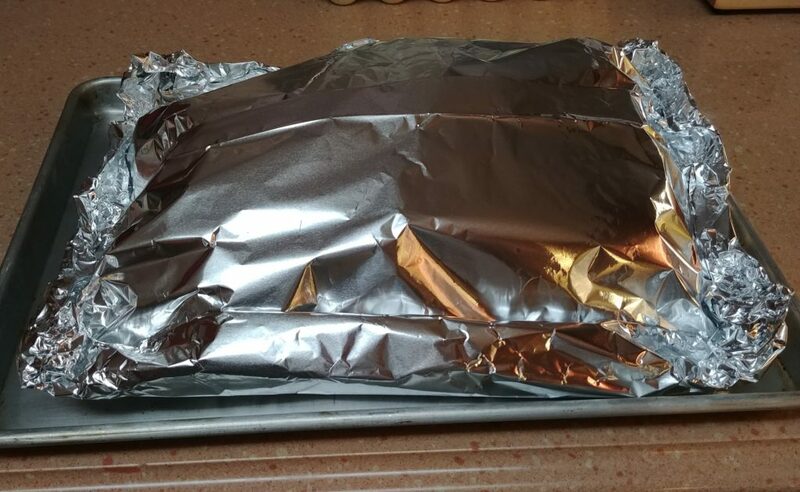 Make a foil packet by putting a layer of foil on top and rolling the edges together all around. Then put in a 350º oven for 1-1 1/2 hours. The time depends on the size of the beets. After an hour, lightly pierce one with a paring knife or carving fork. 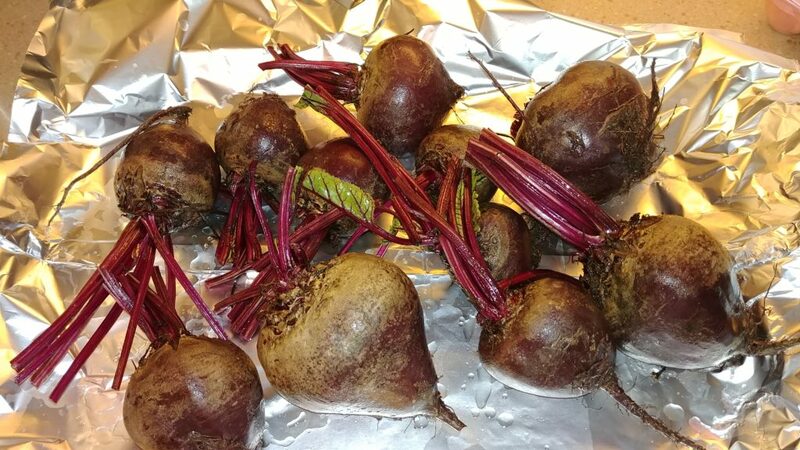 When the beets are done, there will be little resistance to a poke, but don’t go poking around a lot or the juices will all escape from the beets. You might have to leave the largest beets in longer. Just play it by ear. Allow the beets to cool to room temperature and then the skins mostly rub right off. I like to wear rubber or disposable vinyl gloves for this step because that red beet juice will dye your fingers a beautiful shade otherwise. 🙂 At this point, you can slice the beets or cut them into chunks, whichever you prefer. You can also stop here and serve the beets warm as they are, make Harvard beets, or use them in a salad (great sliced and sprinkled with crumbled goat cheese and a nice Balsamic vinegar). Since I was making pickled beets, I cut them into chunks, which is what I prefer. Then I stuffed them into quart jars. Aren’t they beautiful? Strain out the spices and pour piping hot over the red beets. Jiggle the jars to get rid of any air bubbles. Wipe the rims and put the lids on. I let them sit out on the counter overnight and then put them in the fridge. I don’t make enough at a time to process in a hot water bath for long term canning, and this method works just fine for us. We will likely eat them all within a couple of weeks. Of course, if you don’t have canning jars, you can use any container…even plastic storage bowls with lids. Make just the amount that you know you’ll eat in a week or so if you use anything other than a canning jar. Don’t open the jar for a couple of days…those beets will be be deliciously pickled with that wonderful sweet-sour juice! 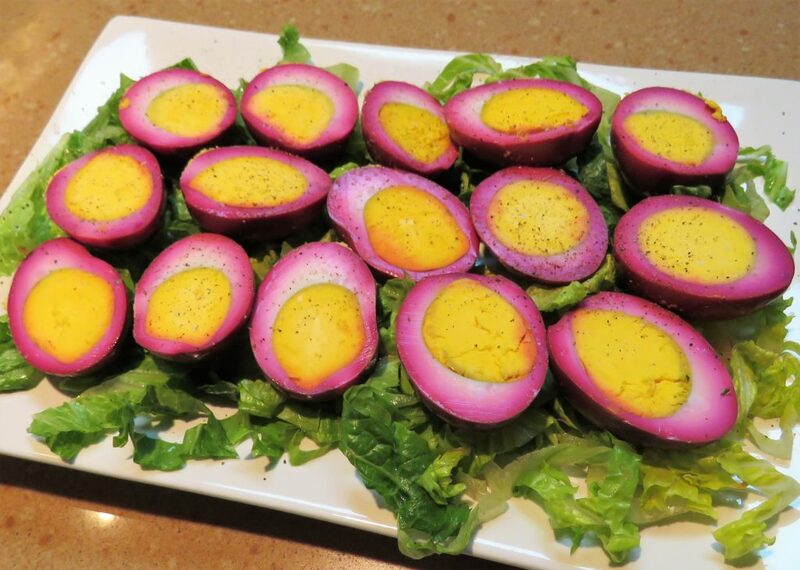 Don’t forget that you can save the juice to make pickled red beet eggs…a delicious and beautiful thing to do with our Fox Trot Farm eggs. Our Fox Trot Farm eggs are still just $3.50/dozen or $12 for four dozen. 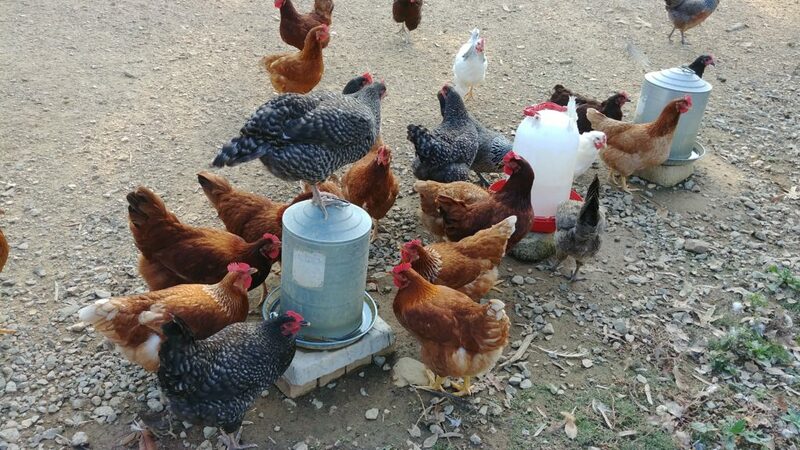 Our Saturday visitors had a good point when they mentioned that buying commercial eggs in a grocery store…even if the label says “cage-free” or “organic” is supporting “factory farming.” Come spend some time with our hens and listen to their happy clucking as they wander their pasture and enjoy the fresh air and sunshine. 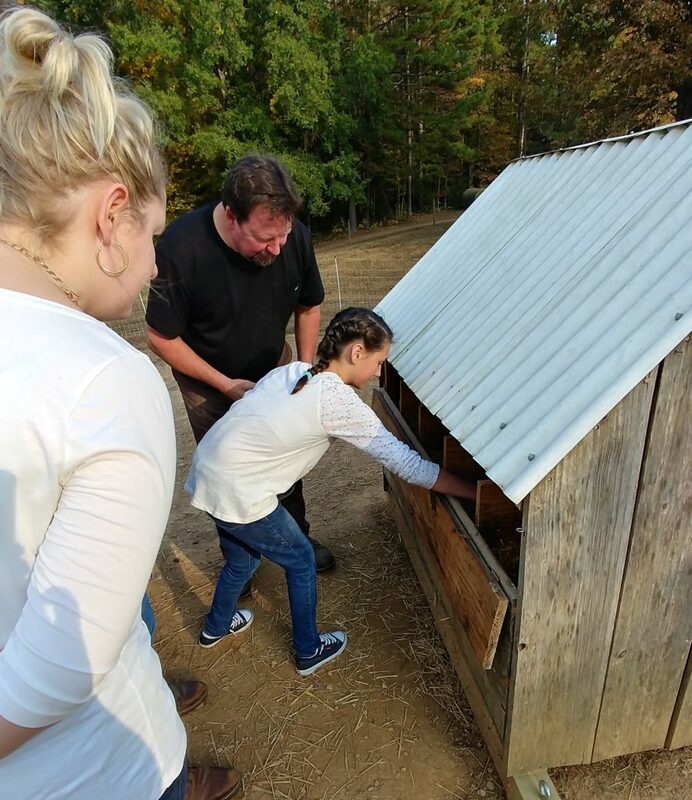 We’re open for business on Sundays from 1:00-5:00, with Farmer Bob’s tour beginning at 2:00. If you need some eggs, honey, or lamb during the week, just give me a call or text me at 803-804-3541. Oh, I do love a pickled red beet. And boiled eggs. Oh my!